Great tasting, low calorie, sugar-free. Only the good stuff. What we put into our children’s growing bodies is really important. That is why Kids Life Focus is made with the highest quality ingredients and herbs we can find. If you do not see the results you want, you can receive a full refund at any time. +How much should my child take? 2 droppers (1.8ml), 3 times a day, adjusting as needed. Most children love the taste, but if your child doesn’t like the taste, Kids Life Focus can be mixed with a natural juice and taken that way. +Can adults use Kids Life Focus? Yes! Many adults have taken Kids Life Focus themselves and have been very pleased with the results. Start with the recommended dosage and go from there. +What do people use Kids Life Focus for? +What exactly is in Kids Life Focus? I've used Kids Life Focus. Our son has a hard time concentrating in school. After trying a bottle and running out then putting him on it again, his teacher could always tell a difference. Now we try not to run out! I've used Kids Life Focus. I don't like to be without it. Our 3 year old son focuses so much better when we give it to him. I also give to our 18 month old daughter and can really tell a difference, she's so much happier. 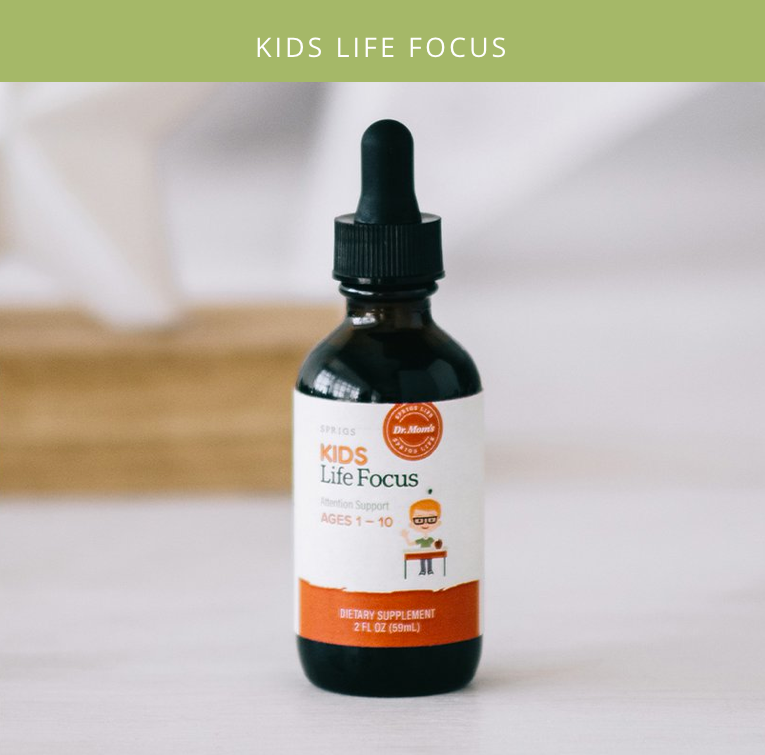 I've used kids life focus for our 10 year old and really think it's a great product. It seemed to help her think clearer and has a good taste, she rather wants this then other stuff with nasty tastes. I've used Kids Life Focus for my 1st & 4th graders. I will keep giving them Life Focus! Thanks for natural products. I've used Kids Life Focus and it has helped me to focus better and concentrate on my lessons better and get better grades in my work. What’s inside of Kids Life Focus?